Working for the covert SSR (Strategic Scientific Reserve), Agent Peggy Carter must balance doing administrative work and going on secret missions for Howard Stark all while trying to navigate life as a single woman in America, in the wake of losing the love of her life – Steve Rogers (aka Captain America). In 1946, Peggy Carter is now a secretary for the Strategic Scientific Reserve. 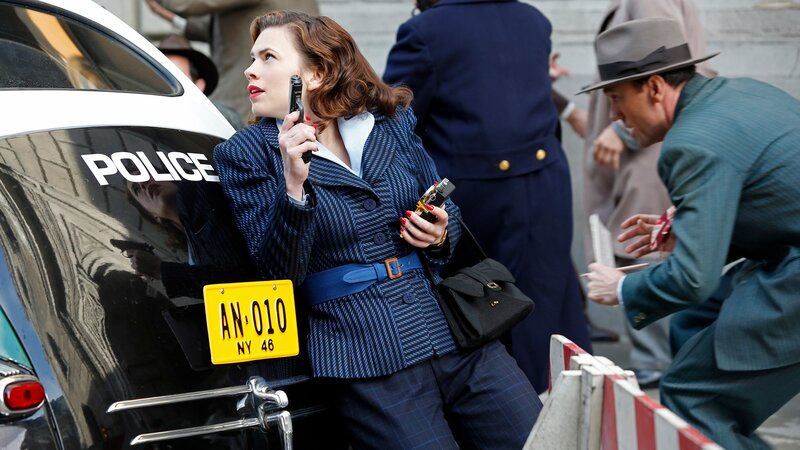 Howard Stark's deadliest weapon has fallen into enemy hands, and only Agent Carter can recover it. As Carter closes in on Howard’s stolen technology, her secret mission could unravel when the SSR arrests Jarvis and a secret is revealed. Peggy’s life is turned upside down when fugitive Howard Stark reappears. A new clue could threaten to destroy Peggy’s future at the SSR. Peggy finally gets a mission and calls upon the Howling Commandos for backup, but her cover may be at risk when Thompson is sent with her. Peggy discovers the shocking truth about Leviathan but doesn’t realize that her true enemies are even closer than she imagined. Peggy is cornered and more vulnerable than ever as Leviathan makes their move against her. The SSR zeroes in on Stark. Peggy faces the full fury of Leviathan and risks it all to save Howard Stark and the world, in the explosive season finale.